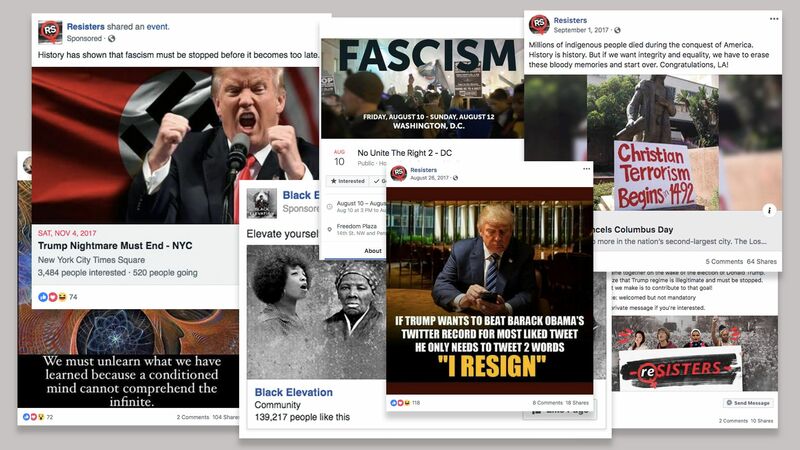 Facebook revealed today it has uncovered a new political disinformation campaign on its platform, which included eight Facebook pages and 17 profiles, one of which had 290,000 followers, per Facebook. Why it matters: Some of the activity displayed in this campaign, including planning events, mimics the activity the Russian Internet Research Agency (IRA) ran in its efforts to influence the U.S. elections in 2016. Facebook has not yet identified who is behind this most recent campaign, but has removed the pages and accounts. The accounts created more than 9,500 organic posts, and one posting on Instagram. They paid about $11,000 to run approximately 150 ads on Facebook and Instagram. The ads were created between April 2017 and June 2018. They created about 30 events since May 2017, one of which had 4,700 accounts interested in attended, the largest interest in one of their events. Five legitimate pages unwittingly helped create interest in some of these events, per Facebook.